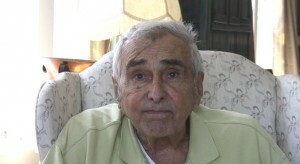 Click picture to view video interview with Tony Bouza. Ask any of the Occupy Minnesota protesters who had their face pushed into the pavement by police if police brutality is still a problem and they’ll say yes. Retired Minneapolis Police Chief Tony Bouza also agrees that police brutality is a problem as it has been for centuries. "We understand that all lives matter. Unless black lives matter, all lives can't matter" Cornell Brooks, National NAACP president told the crowd. "We are in it for the long haul."